The Nortel CS 1000 - Communication Server 1000 - is a server-based, full-featured IP PBX and the cornerstone of Nortel Enterprise Unified Communications deployments. The Nortel CS 1000 provides the benefits of a converged network plus advanced applications and over 750 world-class telephony features. Fully distributed over IP LAN & WAN infrastructure with built-in reliability and survivability, Communication Server 1000 supports business-critical applications, including unified messaging, customer contact center, IVR, wireless VoIP and IP phones. The Communication Server 1000 is an integral part of Nortel's Unified Communications (UC) Vision and will evolve with you as your needs change. Integration of the Nortel CS 1000 with Microsoft and IBM UC solutions extends telephony capabilities to the desktop for enhanced productivity. The Nortel CS 1000 comes with no less than 750 telephony features and a full suite of integrated applications pre-loaded "in the box" - as your business needs evolve, you can easily activate more capabilities. Rich multimedia applications can be activated to voice-and chat-enable a website. These features are all orderable via simple software keycodes and do not require extra hardware. As the Nortel CS 1000 can be configured in in many different ways, we suggest you contact us directly TOLL FREE so that we can advise you on the best solution for your needs. An evolution path from TDM to IP - at your own pace! 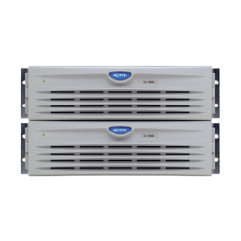 If you would like to purchase or discuss the Nortel Communication Server 1000 Telephone System in greater detail then please contact us TOLL FREE at 1-855-929-9199 as we will only be too happy to help. The Nortel CS 1000 - Communications Server 1000 - the unified communications solution that gives you an edge on your competition!